Important: You must check the establishment’s terms and make an advance booking through GoRhino concierge desk, unless the ‘Call’ icon is not shown. With dining partners with a Booking is essential Icon , Contact GoRhino Dining on 086 114 3643 (Monday – Friday, 8:00 am – 5pm) & quote your membership number. 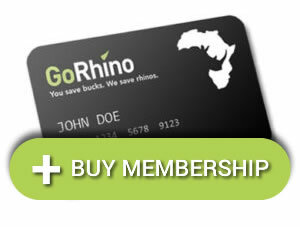 Present your GoRhino app card and start saving instantly.